There are A LOT of Christmas movies out there. I mean a lot. And if you've ever tuned in to the Hallmark Channel this time of year and found yourself unable to recall the holiday-themed cheeseball of a movie you literally just watched, you know that a lot of Christmas movies are complete and utter trash. That's why I did the hard work for you and watched a bunch of them on Netflix; to help you prioritize what to watch and what to skip! To be clear, this is not an extensive review of every holiday movie Netflix has to offer (for example, I haven't had a chance to watch the second A Christmas Prince—I KNOW, I KNOW!) but rather a random compilation of 9 random movies my roommate and I watched on Netflix. And of course, as with all film criticism, this list is entirely subjective and occasionally based solely on the hotness of the male leads. Let's be real though; that's half the reason why we watch these movies, am I right? Truth be told, I made it about half an hour into this movie before giving up. Holiday Breakup is a glorified student film starring two leads who I think became famous on Vine (rip) and the quality matches. The characters are awkward and cliché, which isn't always a turn-off with these types of movies, but there is also very little natural chemistry between the romantic leads. Another note: this movie is truly a holiday movie as opposed to a Christmas movie; it starts on the 4th of July and tracks the characters' relationship through every major holiday until Christmas. I checked out of this movie on Halloween. 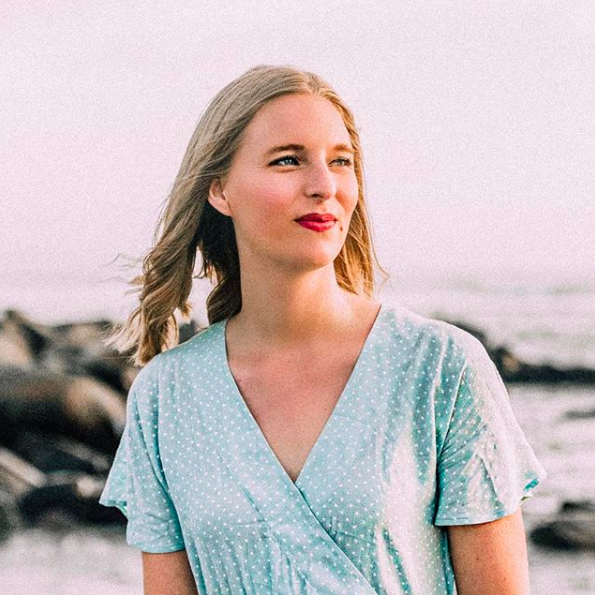 Your classic Hallmark-style fare, Dear Santa is about a recently cut-off trust fund girl who finds herself in a quaint wintery town after a fateful letter brings her there. She meets an attractive man with a heart of gold and learns to be a better person, blah blah blah. Once you get past how annoying the lead character is, this movie is actually kind of cute, and she does get less obnoxious and self-absorbed as the film goes on (obviously). TLDR: it's a cute, if somewhat forgettable movie. I wanted to like this movie more than I did, which is a shame, because Kat Graham was actually quite good in it, and of course Ron Cephas Jones stole the show as her wise grandfather. 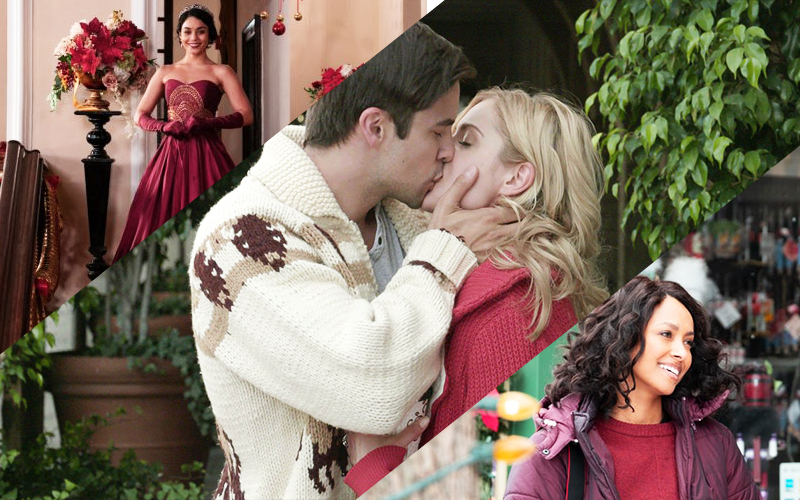 In these by-the-numbers holiday flicks, you can only take the plot so many places, so it's all about the chemistry between the romantic leads. Unfortunately The Holiday Calendar doesn't excel in this category, which keeps it from being truly amazing in its cheesiness. On the plus side, this is definitely one of the most diverse Christmas movies I've seen, so that counts for something. To tell you the truth, this movie gets a lot of points for its punny title. As any Hallmark Christmas movie aficionado knows, the cheesy movie titles of these holiday flicks are half the reason why we get sucked in. 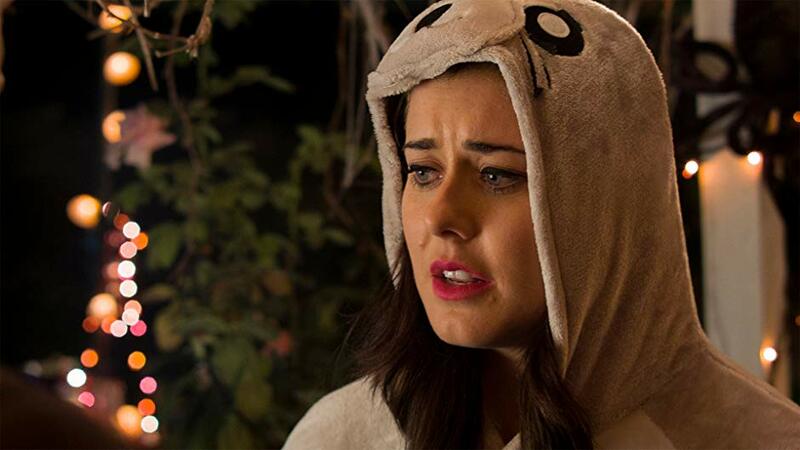 This movie starts off the same way many rom-coms do, with the leading lady engaged to the absolutely wrong person. Of course, fate brings her to the handsome male lead and Kissmas hi-jinx ensue. Merry Kissmas is another fine offering, but it scores negative points because the main character's fiancé is just comically bad for her, which is one of my least favorite tropes in romantic comedies. How are we to trust the main character's judgement and morals if she starts off the movie with the world's biggest douchebag? Questionable. How Sarah Got Her Wings definitely draws a lot on It's A Wonderful Life, another classic holiday film, and it really is sweet once you get past the dark concept (not-a-spoiler: Sarah dies roughly 5 minutes in, and the rest of the film is dedicated to her doing good deeds so she can get her spot in heaven). If you love The Good Place but wish there were 1000% more Christmas cheese, you might enjoy this movie. It's also refreshing that while this movie may at first glance seem like a romance, it really isn't. A rarity for the genre! Do you love The Parent Trap, The Lizzie McGuire Movie, and/or Monte Carlo? Of course you do! You're a human being! 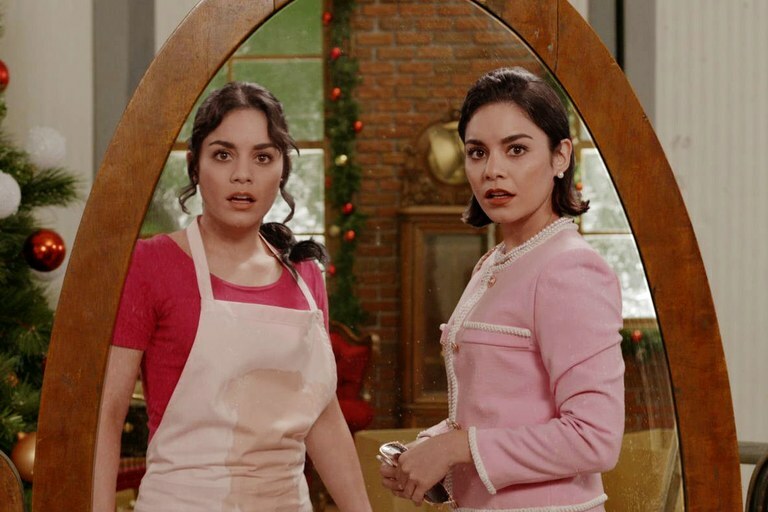 So you'll definitely like The Princess Switch, which features not one but TWO Vanessa Hudgenses sharing the screen as an American baker and European aristocrat, respectively. Neither Vanessa is satisfied with her life as it is, so when fate brings them together, of course they switch places to see how the other half lives! I thought this movie was pleasant and sweet, but with four main characters to provide backstory and personality for—because of course each Vanessa needs her love interest!—the characters are a bit thin. The film that started a bonafide craze—and convinced Netflix to produce 3x as many holiday movies for this year's lineup. 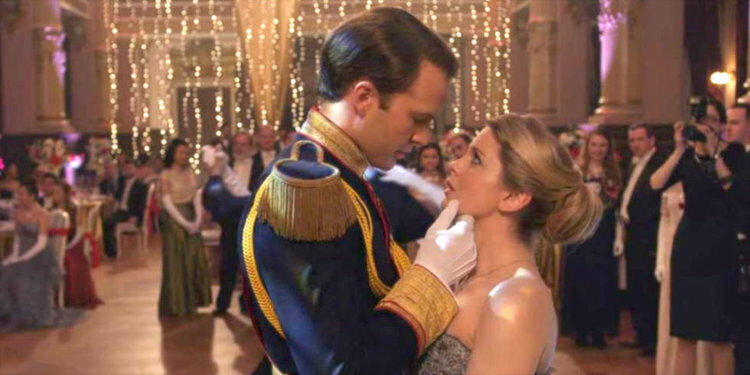 A Christmas Prince is a Cinderella story like any other, but when you've got a hot royal and a quirky reporter meet-cute-ing in some generic European setting—at CHRISTMAS!—what more do you really need? As you already know if you are a human being with a Netflix account, A Christmas Prince 2: The Royal Wedding just came out, so if you haven't hopped aboard the Christmas Prince train yet, now is the perfect time! Okay, this movie was way better than it had any right to be. 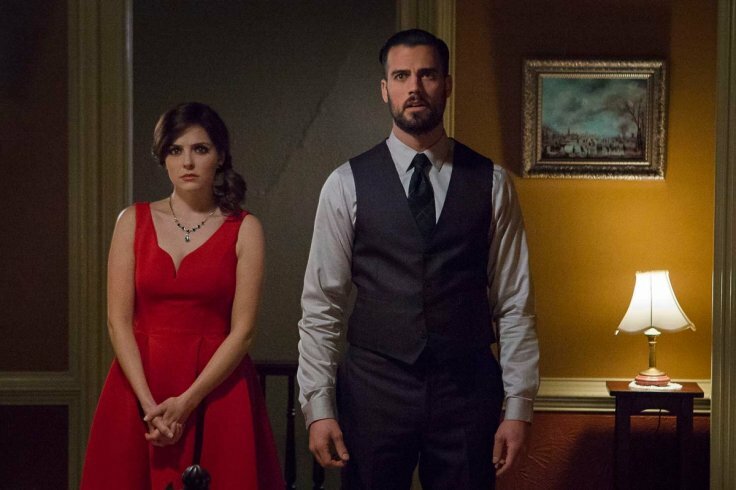 This movie has EVERYTHING: Christmas, an historical property at risk of being sold, ghosts, a murder mystery, and of course, romance. Look, the ghost is super hot, the plot is actually really good and will keep you on your toes, and teen me who loved Meg Cabot's The Mediator series is obsessed. That's all. To be honest, it's not much of a contest that Christmas Inheritance is the true standout for me. 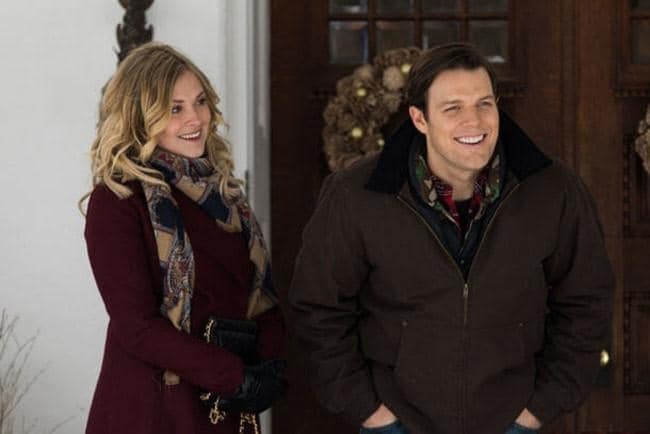 Though with a rom-com ringer like Jake Lacy (who's served as a love interest in Obvious Child, Girls, and How To Be Single, to name a few) is it really a fair game? Not to mention the other lead is Eliza Taylor, who crushes it on the CW's The 100 and does equally as well as this movie's wealthy fish-out-of-water. The plot that drives much of the movie's action may be stupid—something about hand-delivering letters between co-founders of a company to a missing figure in a small snowy town—but Lacy and Taylor are so cute with their banter and charm. As my film professor would say, this is the "I hate you, I hate you, I love you" trope at its finest. Do yourself a favor and add this to the top of your watch list. And then you can watch A Christmas Prince 2. What is your favorite holiday movie on Netflix? Comment with your top pick!